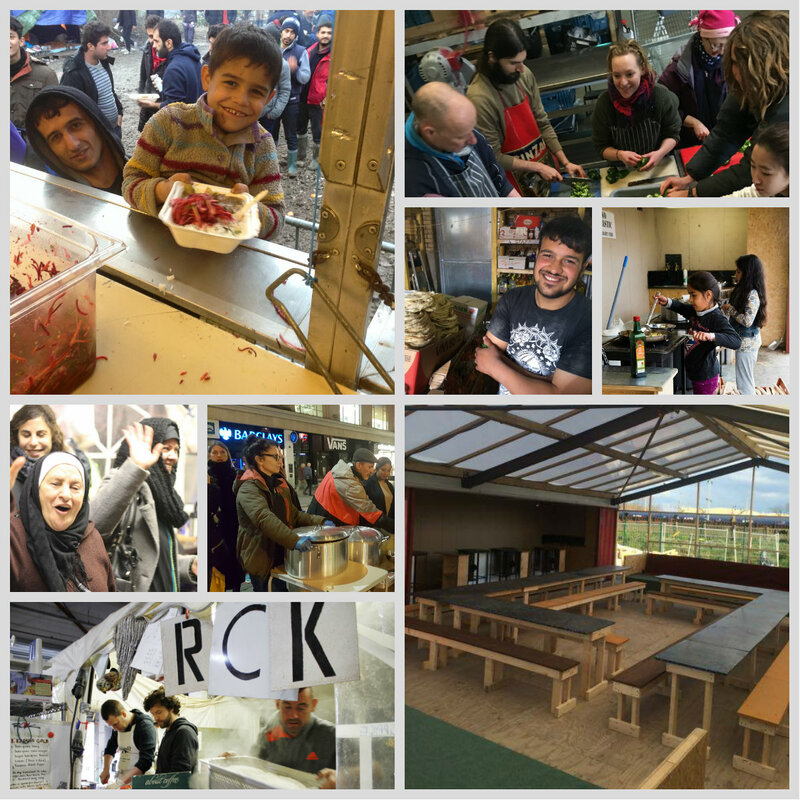 RCK was first talked about by a group of friends at Notting Hill Carnival 2015 with the idea to help in the growing crisis on our doorstep, the idea was to help feed the refugees who had suffered so much already and were now living in the makeshift squalid camps of Northern France. By the 1st December 2015 we was serving 500 meals a day. Solely surviving through online donations, fundraising through events, crowd-funding and the incredible support of an army of amazingly dedicated volunteers, we have served over 1,000,000 nourishing, healthy hot meals - chopping, cooking, baking, stirring and 'serving food without judgement' every single day since. Our mission has included the creation of free shops and community kitchen spaces in the Grande Synthe refugee camp near Dunkerque, for refugees to cook with dignity for themselves. Supplying food security for the many smaller camps that are popping up across northern France as well as hot food outreach to the many young refugees now returning to Calais since the eviction in October 2016. Partnering with other NGO’s we send monthly containers of food aid to Syria and weekly food runs of flapjacks and baked goods to support the NGO’s working every night on the streets of Paris. This invaluable work now reaches the homeless in London where we distribute hot food 3 times a week to all who need it. RCK are also planning for the future and we are near to completing the build of a fully equipped mobile kitchen truck that can travel to where it's most needed to reach the many that are displaced across Europe. It seems this need is not going away anytime soon so please bid with your heart and help RCK to help others less fortunate. 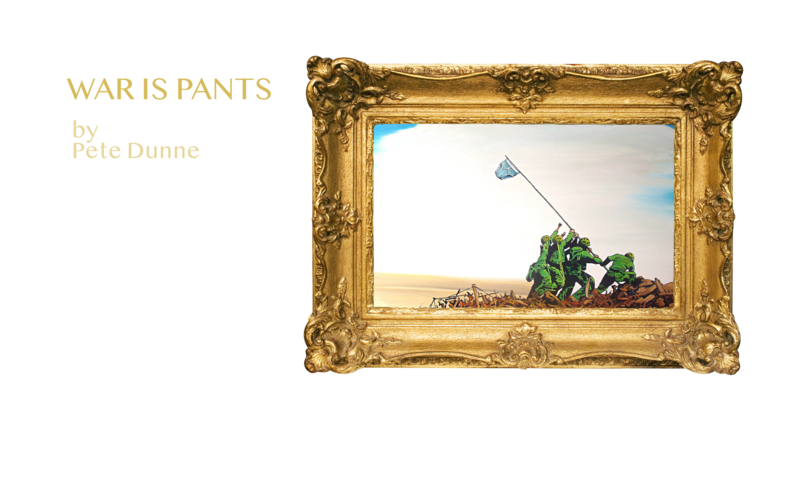 We would like to send a huge thank you to the team who have planned this auction and to the generous artists that have donated their works to help us continue. Some of you may know one of the driving forces behind RCK, chances are you have danced in front of his Bedlam sound system back in the free parties and festivals in the 90's or more recently at Glastonbury festival in the Naughty Corner. Steve Bedlam is one of our own and this grass roots Organization is one that we should all be behind!